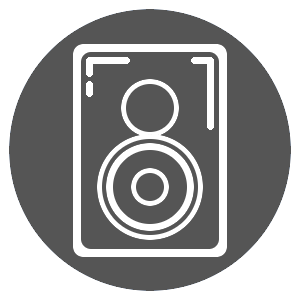 The AN-E must be the most efficient wide band speaker of moderate size on the market, with an effective bandwidth from 18 Hz to 23 kHz at -6 dB, efficiency better than 95 dB/m and a dynamic headroom above 108 dB. The extremely high efficiency is retained well over the bandwidth, and makes the AN-E very suited to the high quality, low-power triode amplifiers that will form the future of music reproduction, once our obsession with power and specifications is generally recognized as folly. The AN-E is a two-way, ported enclosure, with a carefully designed cabinet which is shaped to enhance and aid driver dispersion on one hand, and bass output on the other. The cabinet is lightly braced and little internal damping is used. The cabinet is designed in such a way that it augments and supports the drivers in their task, not unlike the box of a guitar. The drivers are selected and paired before they are matched to the crossover in the same process as the AN-K and AN-J.